Incredible room - large, spacious, well equipped. Very impressed! The location was excellent, close to the tram line and airport sky bus. The amenities were excellent, the appartment was well equipped with all the items one could need and then some (foxtel/stereo). 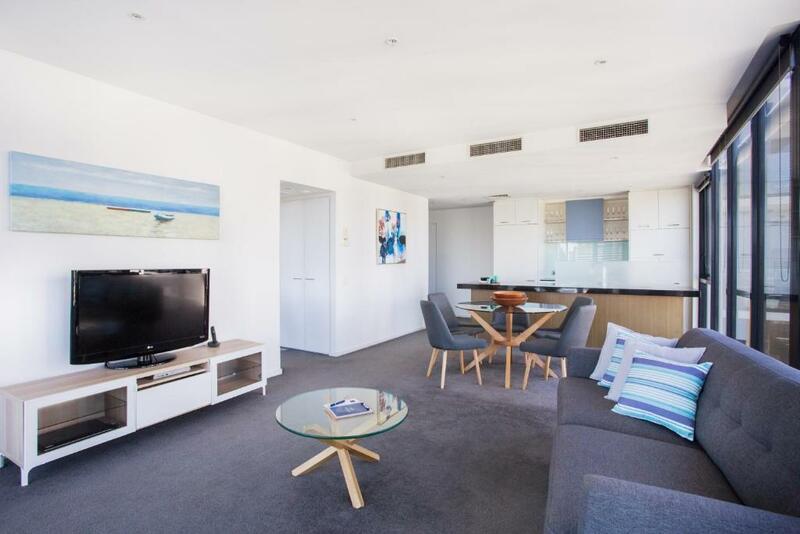 Easy walking distance to Melbourne Star Observation wheel and some specialty shops and hoyts as well as being close to Harbourtown Shopping Centre. Fantastic views of the Harbour and Marvel Stadium and Channel 7. There was a pizzeria, thai food, massage, beauty, chinese restaurant nearby. We loved the expanse of floor to ceiling windows! Amazing view 😍 so wonderful to walk to restaurants, grocery and liquor store too! A quick walk on the boardwalk to the free tram service too! Fabulous place to stay! Good views and close to everything. It was a very enjoyable stay. The view of the Docklands from our apartment was superb. Perfect location to the function we were attending. We booked a two bedroom apartment which was quite large so it was great. 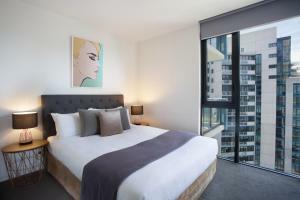 Lock in a great price for The Sebel Residences Melbourne Docklands – rated 8.1 by recent guests! 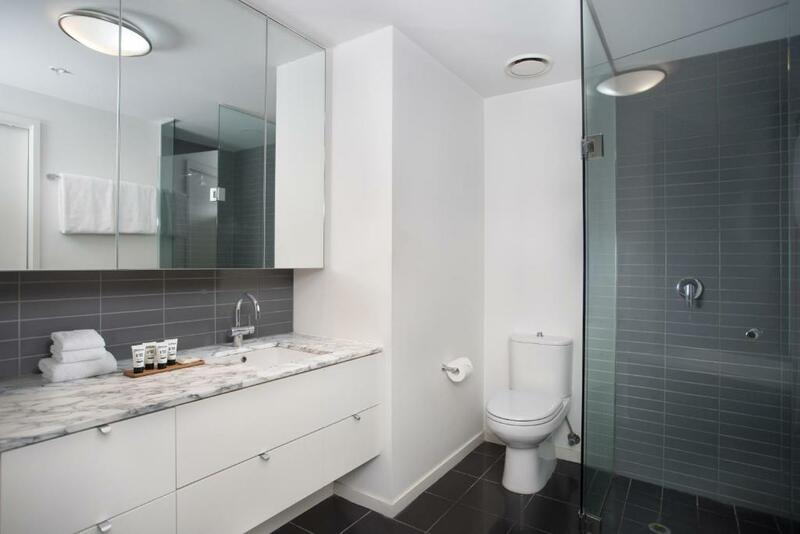 The Sebel Residences Melbourne Docklands This rating is a reflection of how the property compares to the industry standard when it comes to price, facilities and services available. It's based on a self-evaluation by the property. Use this rating to help choose your stay! 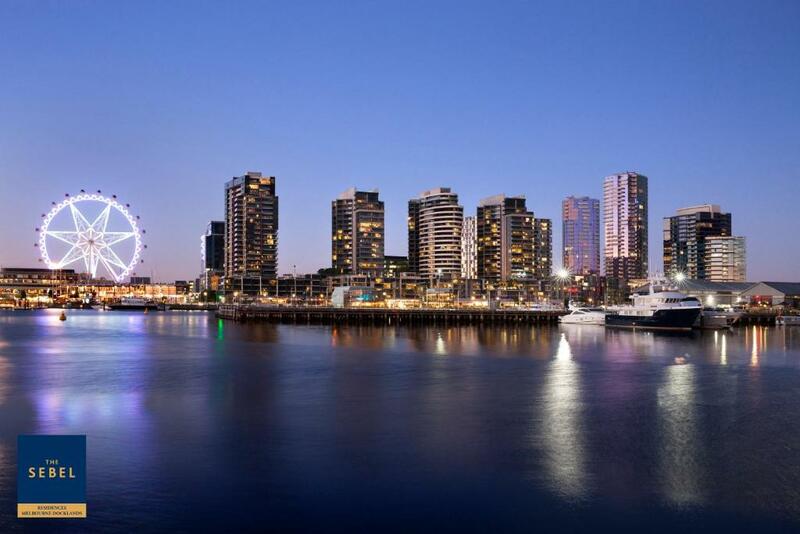 One of our top picks in Melbourne.The Sebel Residences Melbourne Docklands is located in Melbourne’s vibrant waterfront district of NewQuay. These self-catering apartments offer a private balcony, plus access to a fitness center. Most rooms have stunning bay views. The Sebel Residences Melbourne Docklands is less than 10 minutes’ walk from Etihad Stadium and a 15-minute walk from Southern Cross Station. It is 20 minutes’ walk to Queen Victoria Market. 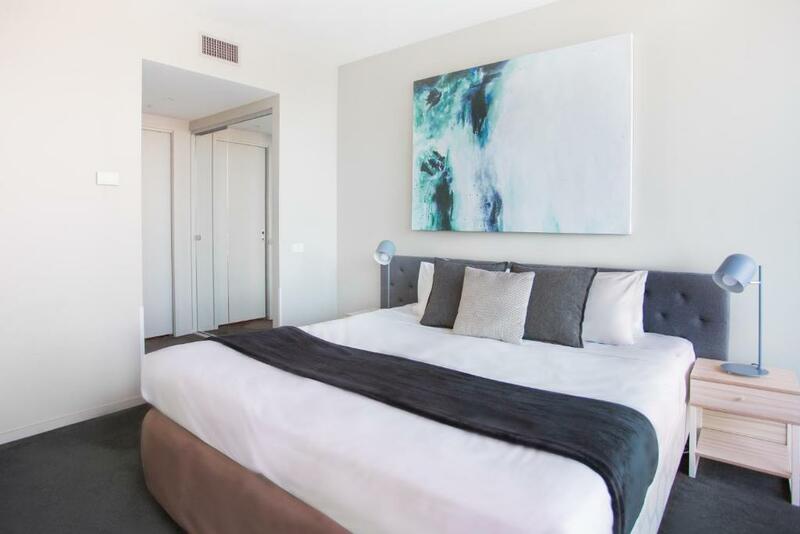 These modern studios and 1, 2 and 3-bedroom apartments include a spacious living area, fully equipped kitchen and laundry facilities. Guests can enjoy free cable TV and a private balcony. Facilities include undercover car parking and a business center with free internet access. Guests at The Sebel Residences Melbourne Docklands can use the free City Circle Tram to reach nearby attractions including Federation Square and Crown Casino. 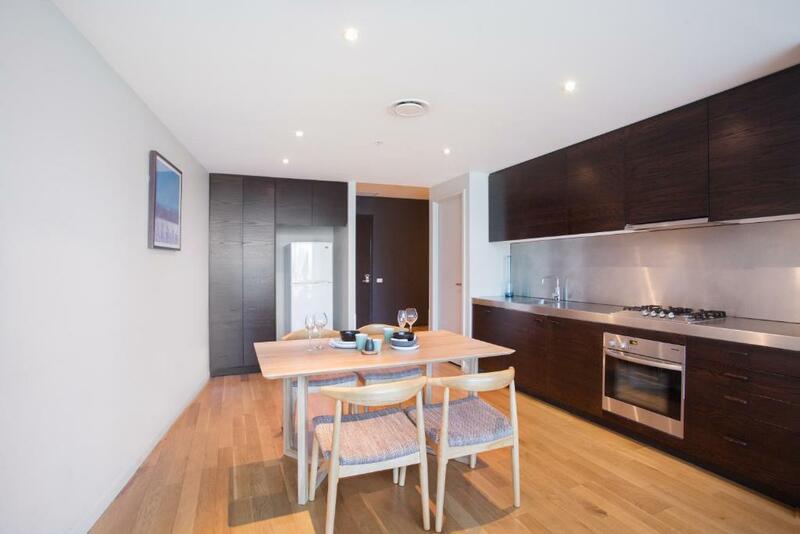 뀐 Located in the real heart of Melbourne, this property has an excellent location score of 8.6! 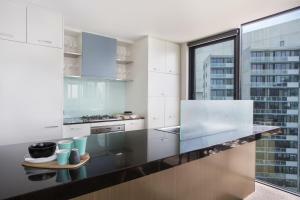 When would you like to stay at The Sebel Residences Melbourne Docklands? Features 2 bathrooms, modern interior design and a private balcony with stunning water views. This apartment has a CD player, microwave and oven. This apartment features a tumble dryer, toaster and stovetop. This apartment has a dishwasher, kitchenware and toaster. This studio features a flat-screen TV, electric kettle and view. 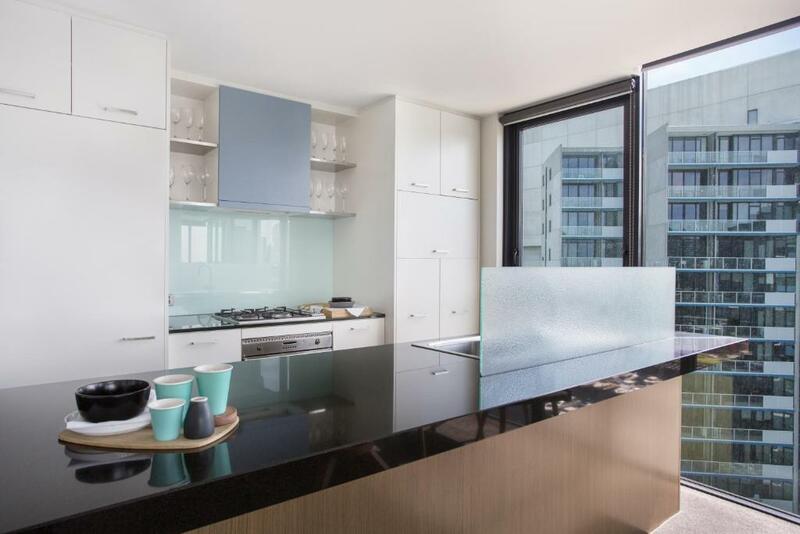 The Sebel Residences Melbourne Docklands is located in the vibrant waterfront precinct of Newquay in the Melbourne inner city, with magnificent shopping, dining and entertainment options nearby. Area Info – This neighborhood is a great choice for travelers interested in convenient public transportation, clothes shopping and atmosphere – Check location Great location - show map Guests loved walking around the neighborhood! House Rules The Sebel Residences Melbourne Docklands takes special requests – add in the next step! The Sebel Residences Melbourne Docklands accepts these cards and reserves the right to temporarily hold an amount prior to arrival. The residences are split over 4 different buildings. It is worth knowing this if making a booking for multiple rooms. The staff were very helpful. The property was neat and clean. Good location. We missed our flight and had to stay in the lobby for 4 hrs or so, which they were completely happy with until we sorted everything out and got another room at sebel for another night! Excellent pool and gym services!! Docklalands has a variaty of restaurants and it was close to the tran. Didn’t like the location on the corner and above the corner store . Felt claustrophobic in small rooms . 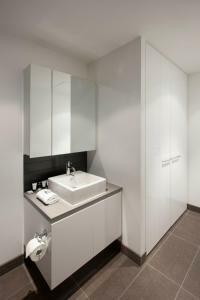 If staying in Docklands for business trips its very convenient, quiet and clean. Fridge didn't wasn't turned on and it was impossible to get to the back of it to turn it on. Room was quite cramped and basic. Getting to the carpark from the front of the property was very difficult being a one-way street, in an area where U-turns are not allowed - all exacerbated by the fact that we arrived when the football had just finished. Staff were very obliging and helpful. Swimming pool was a good size. Great location for activities around Docklands. Well the security were a bit annoying. We had music playing and I must agree it was quite loud, we were told to put the volume down and so we did and never put it back up. We then had some friends come over to get dressed before we headed out to the city and everytime we went down to get someone from the lobby the security thought it would've been a good idea to give us a lecture about how we shouldn't be bringing people and making a lot of noise mind you we weren't making noise after the first time they came around to warn us to put the music down. We then returned back from our outting at 3am and were told not continuously slam the doors even though we weren't at the apartment since 11pm.